Calling all film buffs, videographers and movie afficionados - The Sanctuary Cove Film Festival is here for its fourth year in a row! Running for one weekend only, the Coast's biggest independent Film Festival is bigger and better than ever, showcasing 38 films from 14 countries alongside a free outdoor Short Film Festival. Grab tickets to the general screenings and enjoy exclusive premiere's of some of Australia's best up-and-coming films, with plenty of comedies, documentaries, short films and more up for viewing. Want to wine, dine and enjoy yourself a little more? Why not get the VIP Package and get totally spoiled with beer, wine, and four hours of hors d'oeuvres! Ok, but if you haven't been down to Marie Anita's yet, you're seriously missing out. 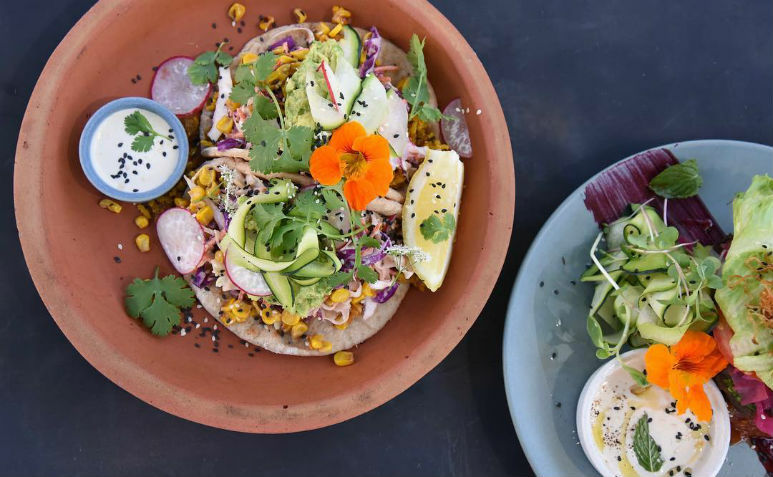 Nestled in amongst the cafe's in Mermaid Beach, Marie Anita's is serving up some of the best organic food on the Gold Coast, creating gluten-free, dairy-free and sugar-free dishes that are totally to die for! Feast on Buckwheat Pancakes, Tahini Bowls or Smashed Avocado for breakfast, or grab your gal pals and head down there for Tempeh, Tacos, or Chicken Bowls for lunch! And it's totally sugar-free... So leave the guilt at home! Gather your friends, your family, your neighbours and your weird uncle - Ministry of Sound is back at HOTA right in time for Summer! Remixing some of the best dance tracks with a live symphony orchestra, kick off Summer with an evening of dancing as you get down to all of your favourite tracks from the 80's to now. Remixing artists such as Sam Sparro, Crystal Waters, Fatboy Slim, Moby and more, Ministry of Sound will take you back to some of the best days of your life with some of the best songs of your time - So make sure you bring your dancing shoes!